Dr Sun | Magazines and Monsters! 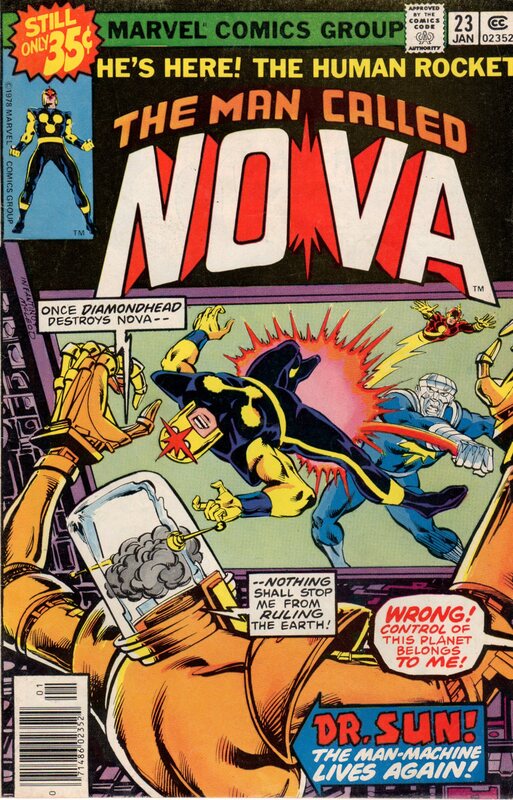 Wait, why am I spotlighting a random issue of Nova…? I’ll tell you why! Because of the villain(s) in this mag! 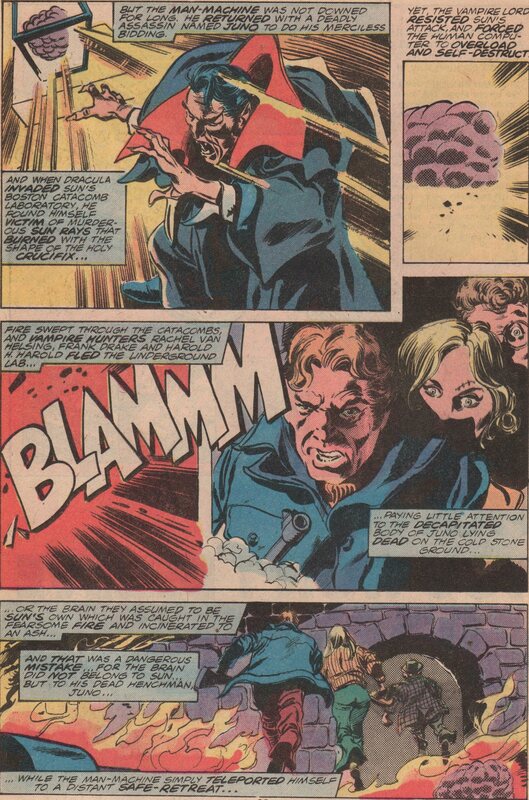 First of all, I’m a huge zealot when it comes to the Tomb of Dracula! 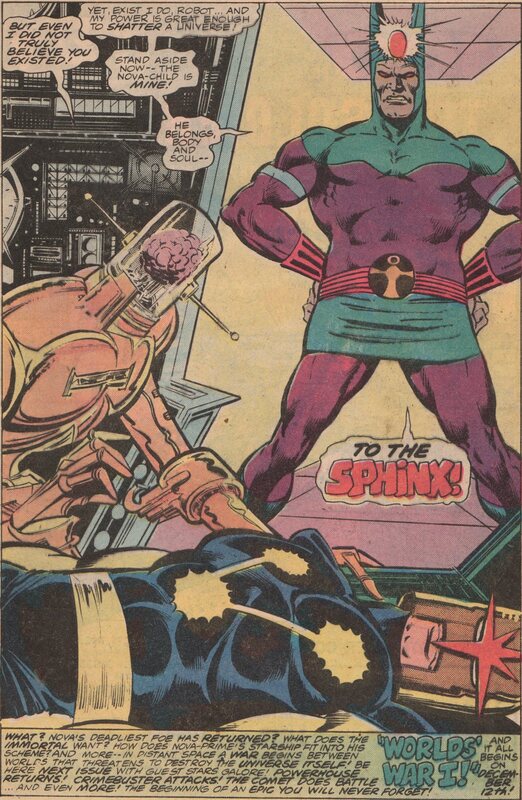 In my humble opinion, the best villain in that awesome comic was none other than that body-less brain, Dr. Sun! But wait, didn’t he perish in the series? NO, he did not! And thanks to one of his creators, he appears once again in the pages of Nova! And at the end of this tale, we also see another great megalomaniac, The Sphinx! 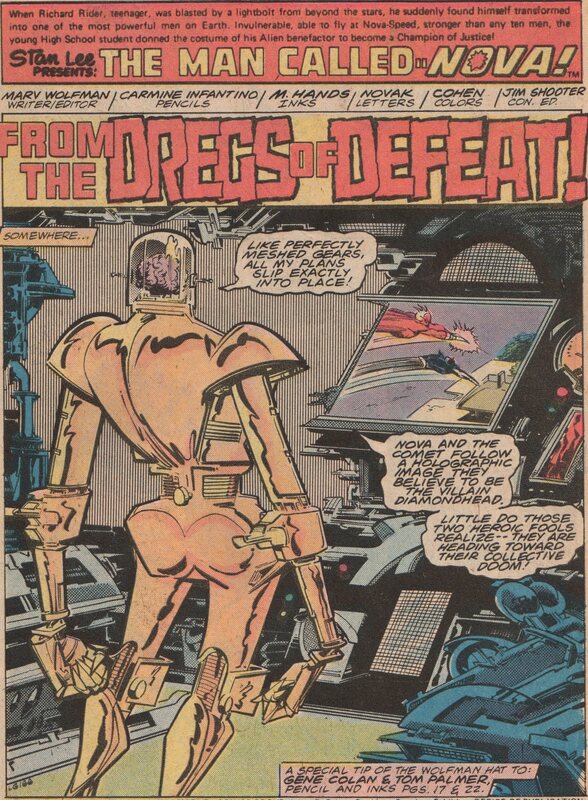 The sheer amount of comics either written, plotted, and/or edited by Marv Wolfman (writer/editor) is astounding! 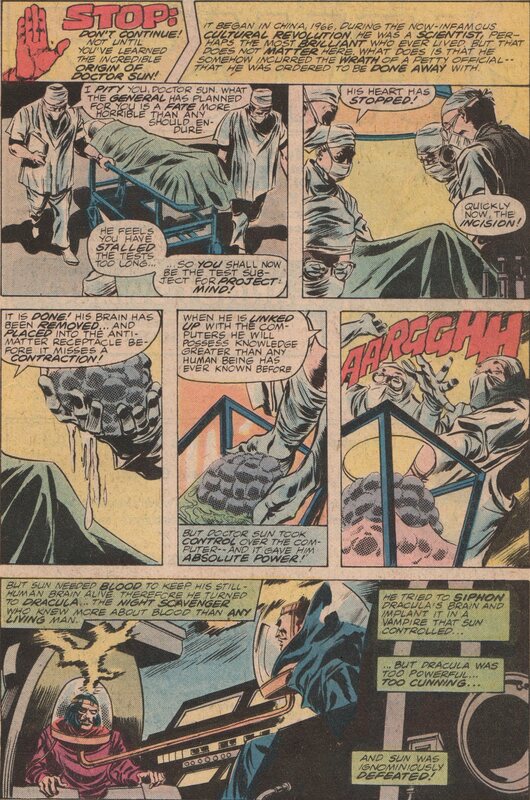 For me his crowning achievement will always be Tomb with Gene Colan (pencils on the flashback panels with Tom Palmer inks), but his Fantastic Four is pretty good, and his work on Marvel Two-in-One, Teen Titans, and of course all the great content in the black and white mags from the 1970s! Long time DC comics artist Carmine Infantino (pencils- cover and interiors- cover inks by Bob McLeod), the inking was by a plethora of gentleman (M. Hands…many hands), colors by Janice Cohen, and letters by Jim Novak!